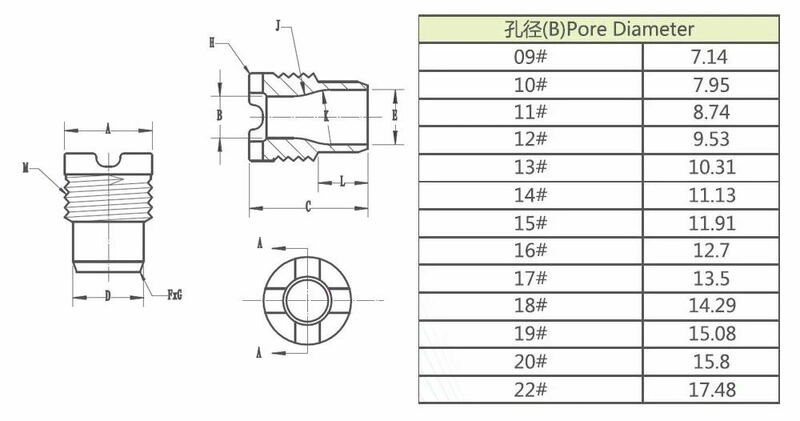 Product categories of Tricone Bit Nozzle, we are specialized manufacturers from China, Tricone Bit Nozzle, PDC Drill Bit Nozzle suppliers/factory, wholesale high-quality products of Pdc Bit Nozzle R & D and manufacturing, we have the perfect after-sales service and technical support. Look forward to your cooperation! A Pdc Bit Nozzle and Tricone Bit Nozzle is a device designed to control the direction or characteristics of a flow (especially to increase velocity) as it exits (or enters) an enclosed chamber or pipe via an orifice. For PDC Bit nozzles, tungsten carbide nozzle is the most rugged and durable and provides the best value. Tungsten carbide nozzle is made by the precision machining with the tungsten carbide materials (super hard alloy). The hardness reached over HRA90 degree while the antibending degree reached over 2300N/mm. Tungsten carbide nozzle is made from hot pressing with straight bore and venturi bore type. Tungsten carbide nozzle has been widely used in sandblasting and shot peening equipment, offering a long life with optimum air and abrasive use.